Lawrence Swersky, a brave and courageous WWII patriot, survived hand to hand combat in New Guinea. He spent a year in a Army hospital healing from malaria and jungle rot. He never complained, even when the jungle rot (a parasite in the blood), a lifetime WWII souvenir attacked him every summer. To him it was the cost of serving and protecting his beloved country. He married, had 2 children and 4 grandchildren. He worked for the Veteran’s Administration and won awards as a veteran’s advocate. This 6 foot tall handsome man was the specimen of health: athletic, exercised daily and ate the right foods. My father, a fighter by nature who survived the horrors of the war, was “helpless and hopeless” when a new enemy attacked him: Alzheimer’s. It also attacked my family as we watched in despair while this disease ravaged him. We were powerless. My mother loved and cared for him at home in Randallstown, Maryland, until he died at age 88 ( 8-10 years after onset). 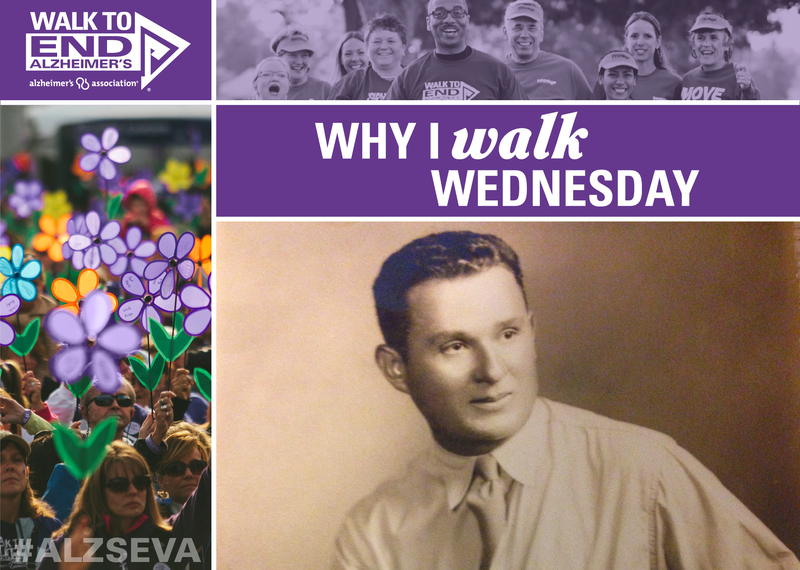 I walk to honor my father.. I refuse to sit idly by as long as this scourge exists. I owe it to him. my children and future generations.